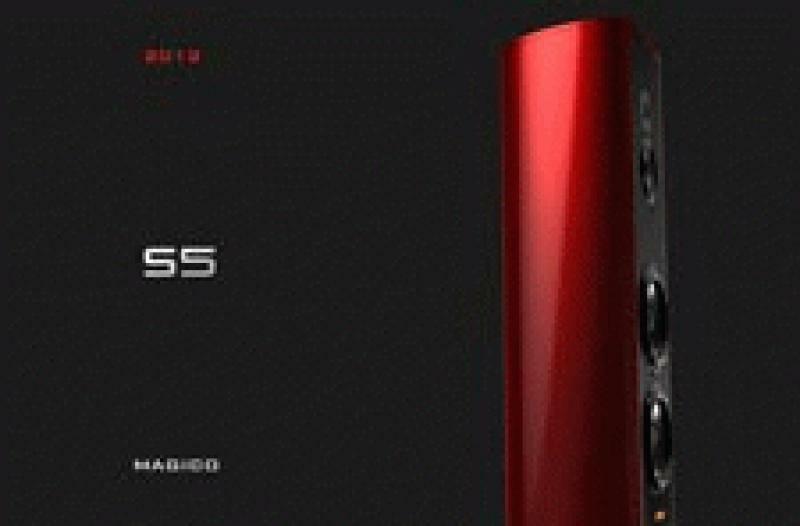 Five years since the Magico V3's first release, the company has decided to introduce its successor, the S5. This three-way, four-driver floorstanding loudspeaker borrows heavily from the Q-Series' technological arsenal and employs new manufacturing techniques. The eye will be first drawn to the S5's new curved enclosure, which is supposedly the world's first utilization of 1 2" thick, 16" diameter extruded aluminum walls in a loudspeaker. Taking design cues from the Mini, the cabinet design reportedly minimizes diffraction effects, internal resonance, and damping requirements. The elegant, paintable exterior offers a shallow profile that will complement a wide variety of end-user living environments. Available in Magico's signature black anodized finish, the S5 is also offered in many different high gloss and satin M-COAT paint blends. A removable black grille is included - a first for a Magico speaker. Incorporating entirely new dual-10" Magico hybrid Nano-Tec bass drivers, the S5 is capable of an output of 118dB (@ 50Hz-1 meter). Combining an outer cone ring of aluminum and a Magico Nano-Tec dust cap, the new drivers combine power handling in the low bass with distortion-free response at the top of their pass band. The S5 midrange's dual neodymium, underhung motor system with pure titanium voice coil former is powerfully efficient and extremely low in distortion. The tweeter is a beryllium diaphragm model. A new neodymium motor system has been customized to match the S5's huge dynamic capabilities and power handling, while retaining its inherent wide dispersion and low distortion. The US Retail Price of the Magico S5 is $28,600 per pair. Delivery will begin in Q2 2012.